If you’re about to go off and study for an MBA with an emphasis on family business studies, it might be a good idea to look at whether the university you want to attend has a family business club. That’s because family business clubs at business schools are proving an increasingly useful way for universities and their students to engage with the next generation of family business leaders while they are studying for business degrees. Recently, MIT’s Sloan School of Management joined a long list of others that have launched a family business club. MIT says the purpose of the club is: “to build a community of MIT Sloan students who come from, plan to join or hope to start a family business”. 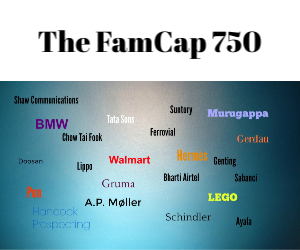 Harvard, Cornell, Columbia, London Business School, The Wharton School, INSEAD, ESADE and many more universities have launched family business clubs in the last few years for similar reasons that MIT decided to do so. Lise adds that universities benefit by building loyalty with students. The family business club at LBS hosts an annual conference, which pulls on speakers from family businesses as well as current students and alumni of the business school. The LBS club claims to have 850 members.